Opera has released beta 3 of Opera 10 – with the browser getting ever closer to a full release. The latest beta includes a few minor changes – like a more visual tab option, continued tweaks to the UI, more languages integrated and crash protection. 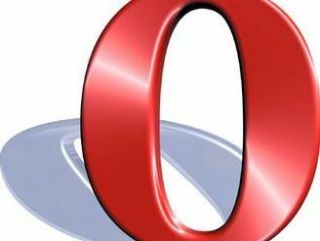 However, Opera Unite – the tool that Opera are calling Web 5.0 – is not included in beta 3, with the company explaining that it remains in its Alpha testing phase. More than a million people have been testing beta 2, to the delight of the company. "For us, it is a resounding success when more than one million people try your beta and are excited enough to give us so much actionable feedback," said Jon von Tetzchner, CEO, Opera Software. "This third beta comes after a lot of careful improvements. We have never released such a solid piece of technology that not only runs seamlessly, but is so nice to look at as well. "I am proud of this release, and I hope that the Web-using world will benefit from a browser that is truly ready to do some heavy lifting." Tab tweaks - Multiple Opera users who tested the previous betas shared their preferences for more visual tab options. Opera has responded in beta 3 by offering options for tab placement. Now users can view their visual thumbnail tabs on the right or left side of the screen, in addition to placement options on the top or bottom. Tabs are resizable and the thumbnail view is optional. Eyes on the UI - Designer Jon Hicks continues his renovation of the user interface (UI) by implementing several new tweaks designed to make using Opera even more efficient. Multilingual - With a whopping total of 38 languages, Opera's beta 3 aims to make it easier for users around the world to feel more at home while online. Crash prevention – Opera's integrated crash logger has made beta 3 a rock-solid ride. Even more turbo - Opera Turbo has been further refined for increased speed when browsing over slow network connections.